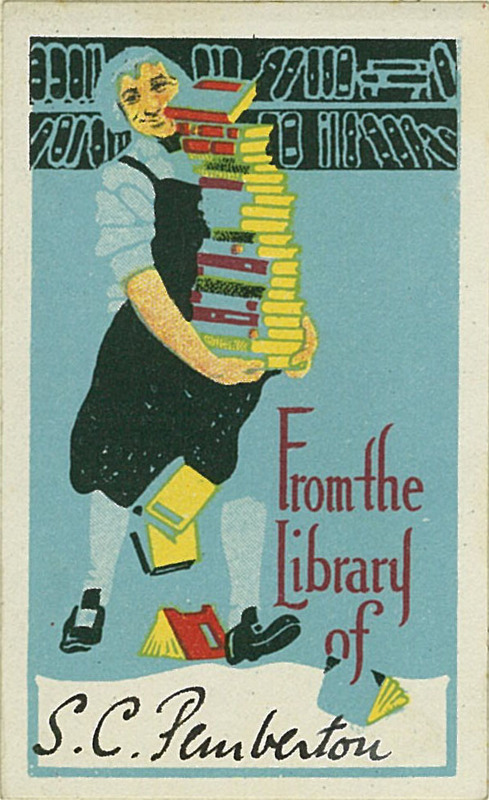 Ex Libris, a Latin phrase meaning “from the books,” is often employed in bookplates to indicate ownership or to collate a group of books into a collection. Bookplates are stamps or paper labels pasted inside the front or back cover of a book. As an archivist and general bibliophile, I love opening the cover of a book and seeing a physical representation of previous book owners. It is exciting to imagine the lifespan of a bibliographic object, it’s trajectory in history from creation, through ownership, and eventually into our Rare Books collection. 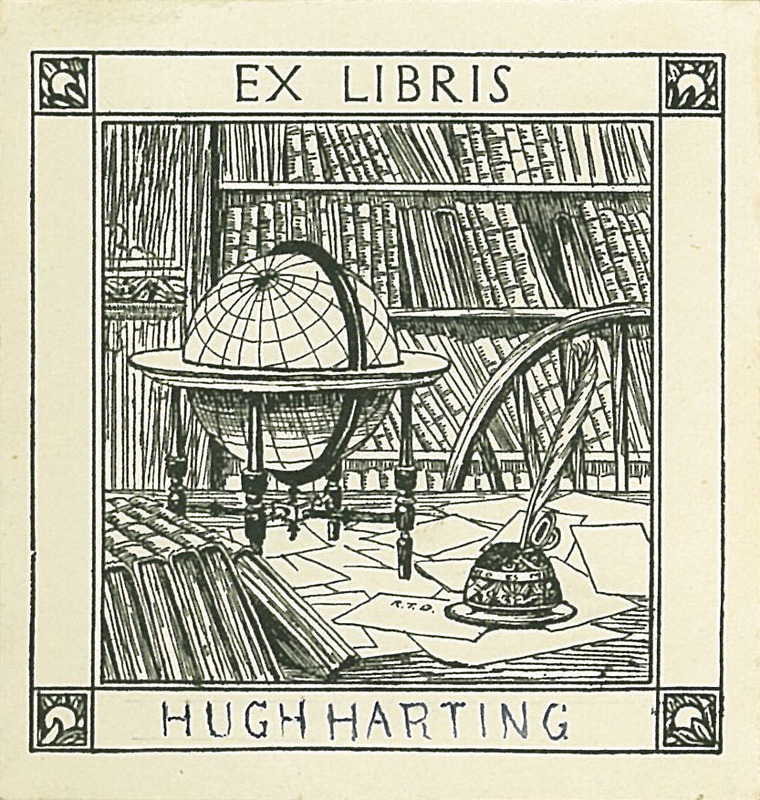 Bookplates are one (often beautiful) way of tracing a book’s genealogy. 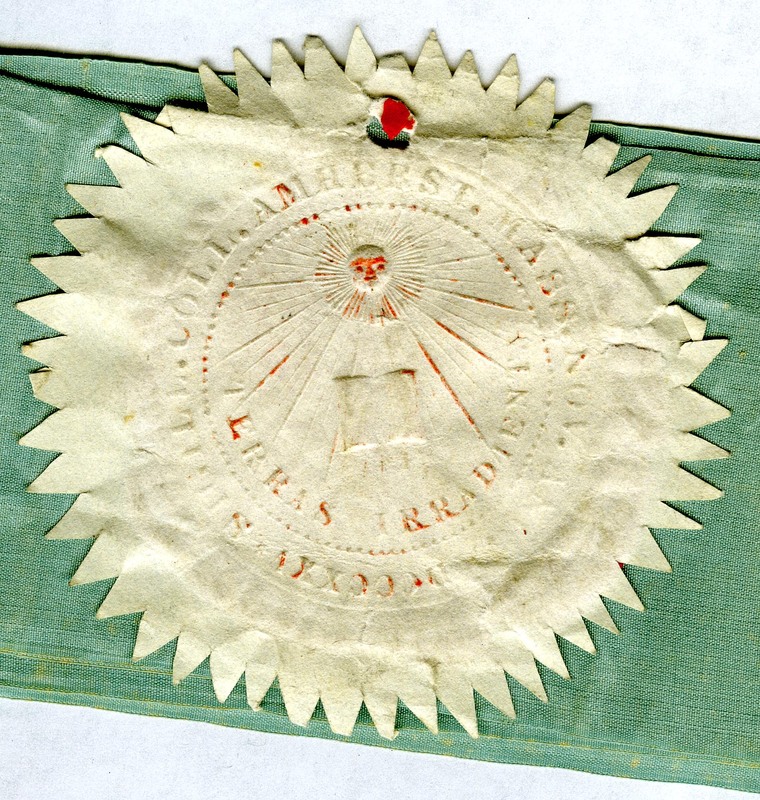 Ribbon with 1825 College seal. Visitors to the Frost Library in the spring of 2013 were met in the lobby with an exhibition put together by students from Wendy Ewald’s class Collaborative Art: The Practice and Theory of Working with Communities. Items in the exhibition were selections from archival collections the students had used in classroom meetings during the 2012 fall semester. 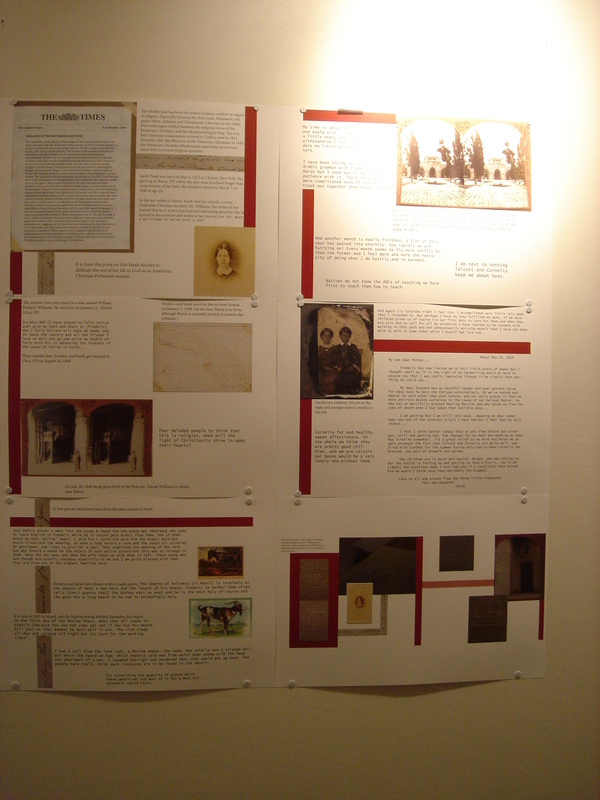 The resultant class projects used the Amherst College missionary collections for the historical part of their work and interviewed local people for the contemporary part. The class then produced an exhibition and a book that connected the two projects. Enlarged pages from the book were also on display in the mezzanine gallery above the lobby exhibition. 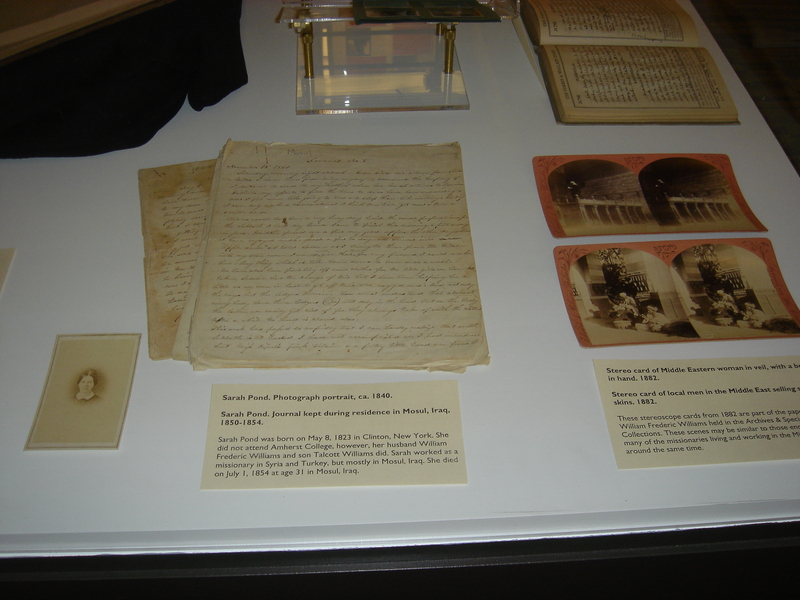 Exhibition viewers might have wondered how Amherst College came to possess so much material about Christian missionaries. As many people will know, Amherst College was founded with the object of “educating for the gospel ministry young men in indigent circumstances, but of hopeful piety and promising talents.” When Noah Webster described this mission at the laying of the cornerstone of South College in August of 1820, he could not have imagined exactly how and to what extent it would play out. However, in the decades that followed his assertion, Amherst turned out approximately 140 missionaries for 20 countries. Many of those missionaries founded something resembling dynasties, in which succeeding generations followed their parents and grandparents into missionary service. Because of the strong connection between the College and its alumni, many of the missionary families eventually deposited their papers here, over time forming an impressive group of missionary collections. One need not be religious, or interested in the study of religion or the missionary movement, to find these collections fascinating and extraordinarily important. In general, the collections provide a rich context for study of our history in the Middle East and India in particular, with a few collections covering other countries. However, the collections may also be approached from many other angles, including international history, American history, history of religion, politics, women’s studies, as well as a basic biographical approach to any one of the individuals represented in the collections.